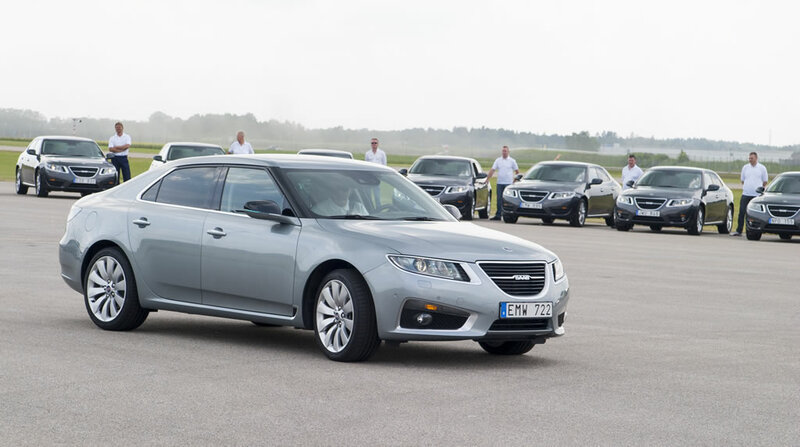 It was 2010 when the new Saab 9-5 was presented to European dealers. 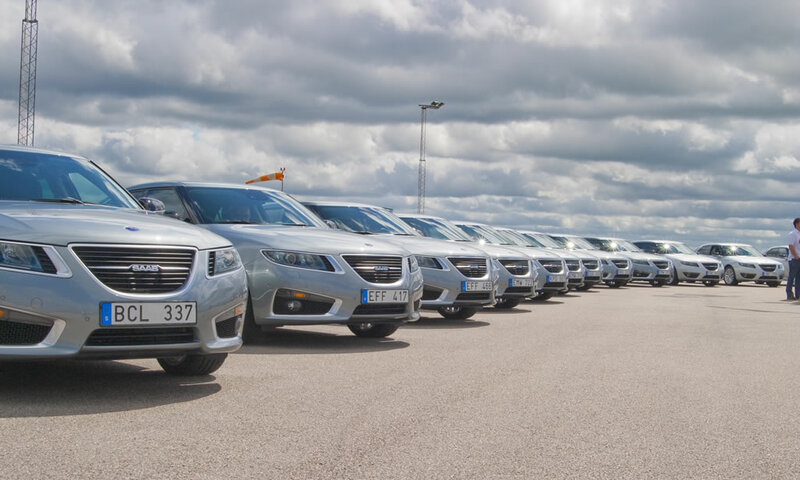 It took place at Trollhättan-Värnesborgs Airport and around 30 Saab 9-5 were lined up at the apron.It is a small regional airport and is located on the north-east side of the former Saab factory. Henrik Zaar was working as an aircraft maintenance technician for a Swedish airline that had got a 5 week assignment to do these charter flights for Saab. 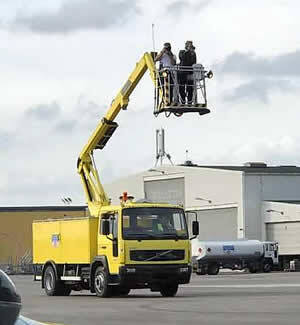 They had to have a technician on the aircraft with all flights to make sure they did not have to cancel any flights. He flew along for one week and saw the beautiful lineup from the air every day . 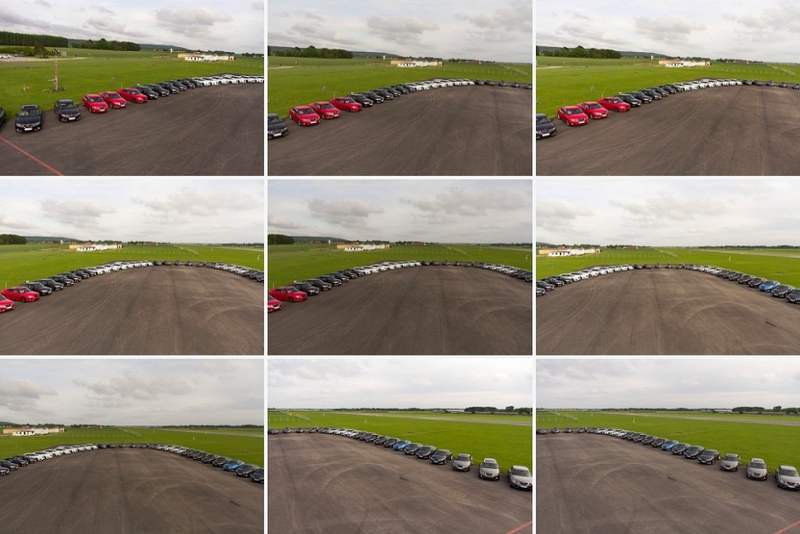 It was an impressive sight to see all these new Saabs lined up from the air. 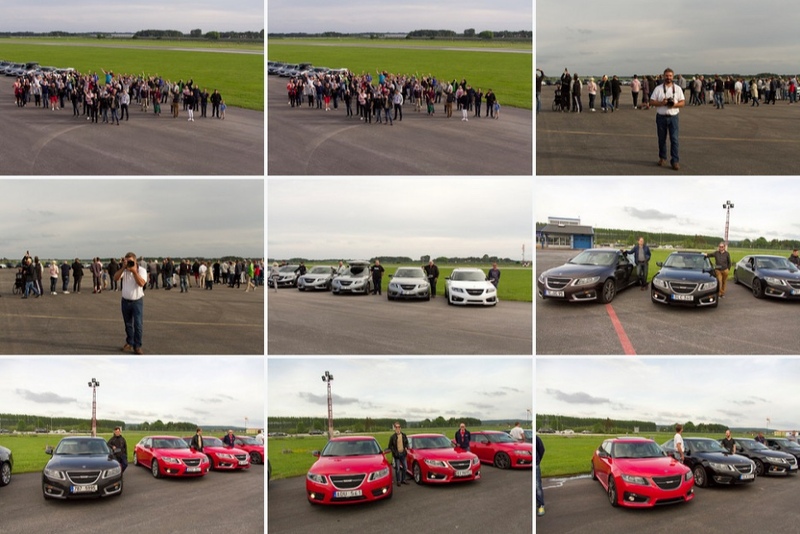 A few days before the 2017 Saab Festival, he got the idea to organize a similar lineup of the latest generation of Saab 9-5 at the same spot at the airport. 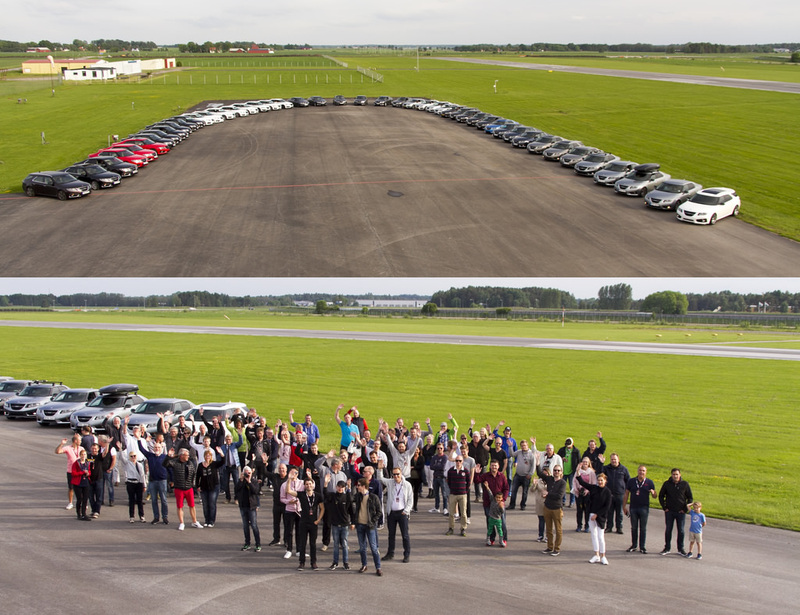 Nichlas Strandberg assisted with organizing this event and the photography of these 47 Saabs. The weather wasn’t very good on Friday. When Henrik and Nichlas arrived at the airport at 17:00, it started raining. And all the Saab 9-5 owners were going to arrive in about 45 minutes. But as luck would have it, there was a break in the clouds and the weather cleared up. Many thanks to Henrik and Nichlas for sharing the story and pictures with all Saab enthusiasts here on SaabWorld!